What do you do when you are in the middle of working on a project and this starts to happen? 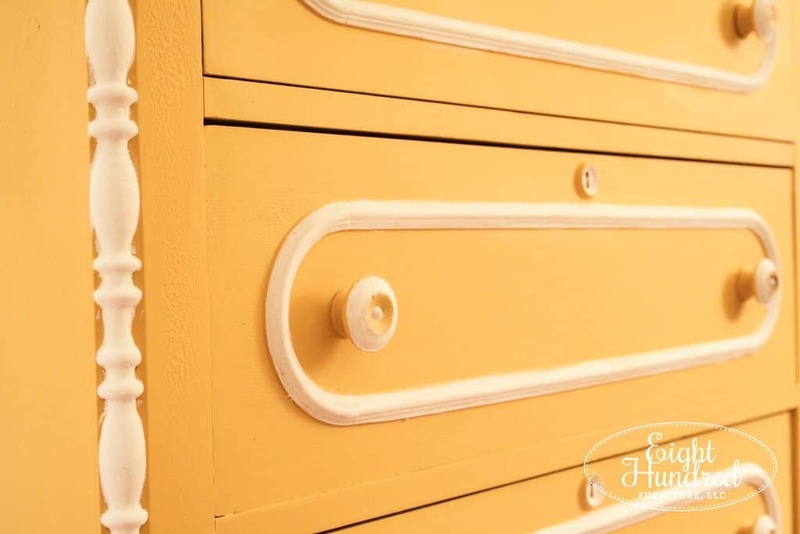 For those of you who work with Miss Mustard Seed’s Milk Paint, you know exactly what this is. Chipping. Flaking. 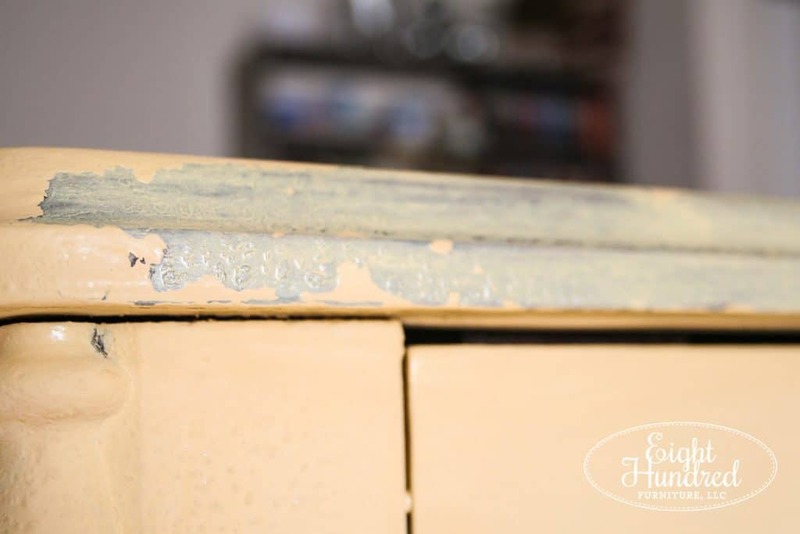 Essentially, it’s the unwanted and unwelcome removal of your freshly applied Milk Paint. 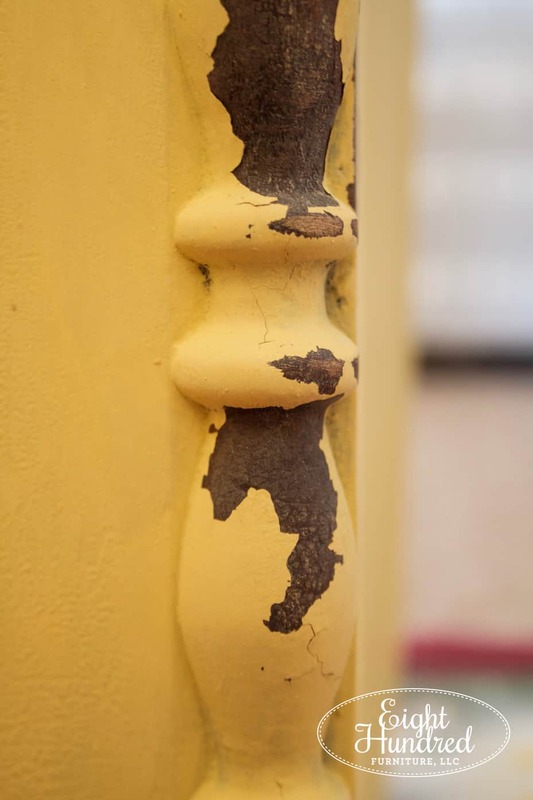 How do you fix unwanted chipping Milk Paint? 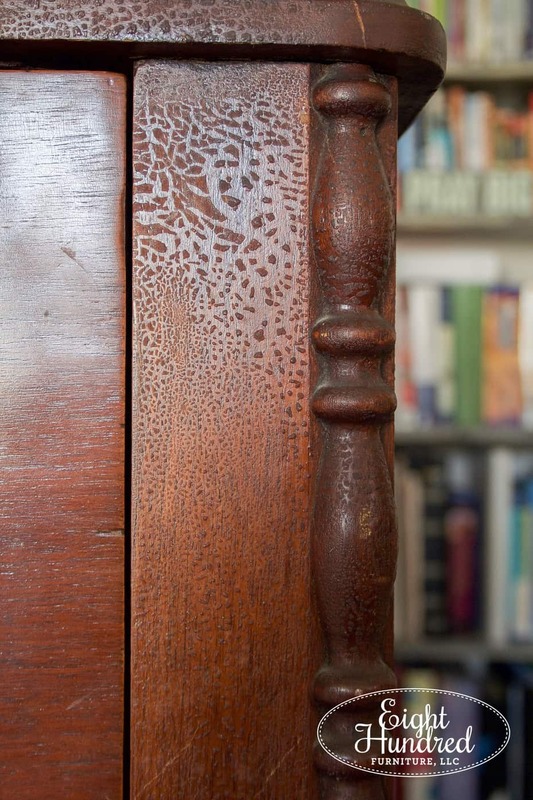 What do you do when your piece is chipping and you wanted a full-coverage finish? First, take a deep breath and rest assured that you are NOT alone! 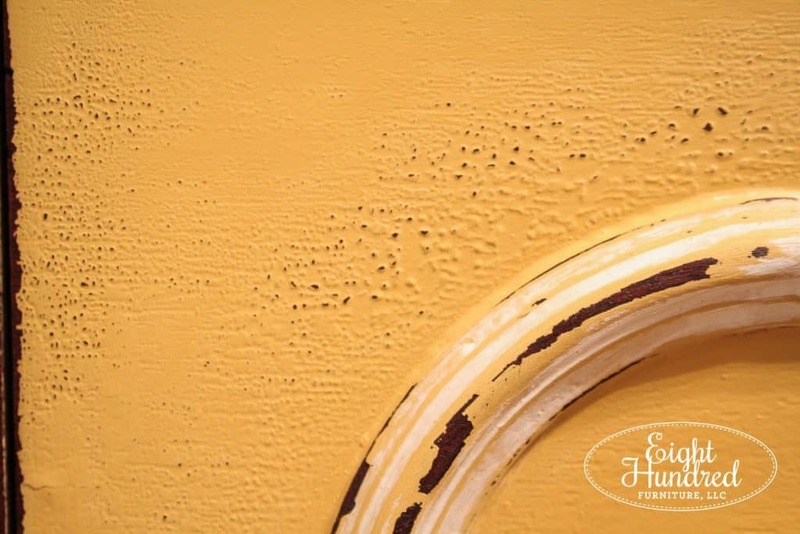 Those of us who have been using Miss Mustard Seed’s Milk Paint for a while have experienced unwanted chipping at one point or another and we’ve all gone through the frustration and downright disappointment that inevitably follows. Now just to clarify, I’m not talking about small chips here and there that are adorable and tasteful. You know, chips like these. Oh no. I’m talking about chunks and big patches of paint falling down like tissue paper. 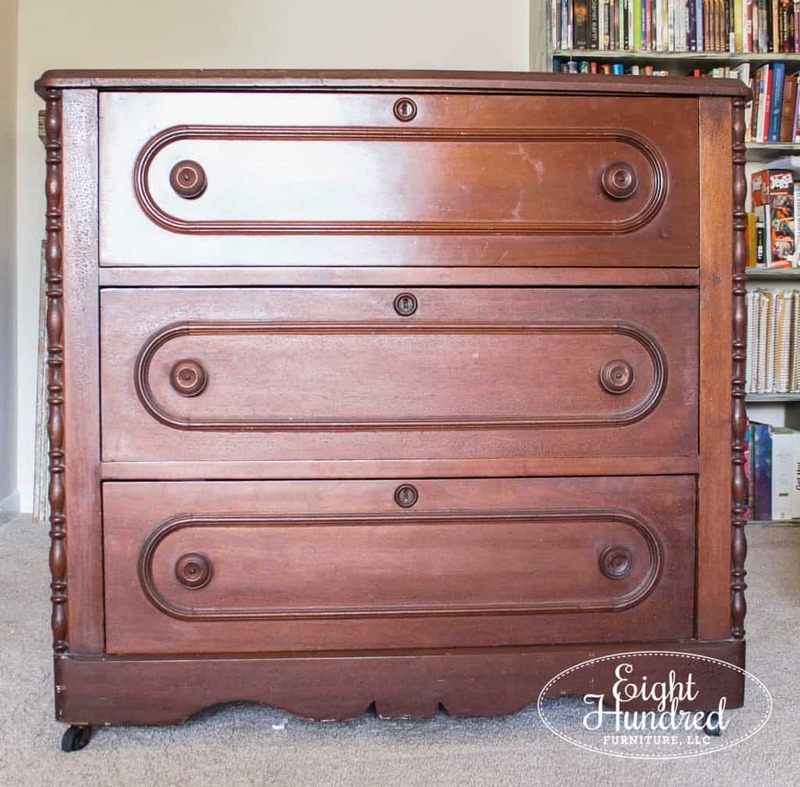 I recently experienced severe unwanted chipping on my Mustard Seed Yellow dresser that I finished up about two weeks ago, and I wanted to share my story with all of you. 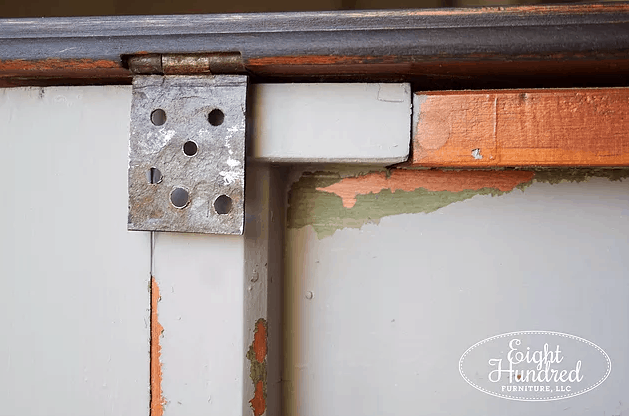 Hopefully, after reading through my experience, you’ll feel encouraged and equipped when you encounter unwanted chipping on your next project. So here’s the culprit. Remember this one? 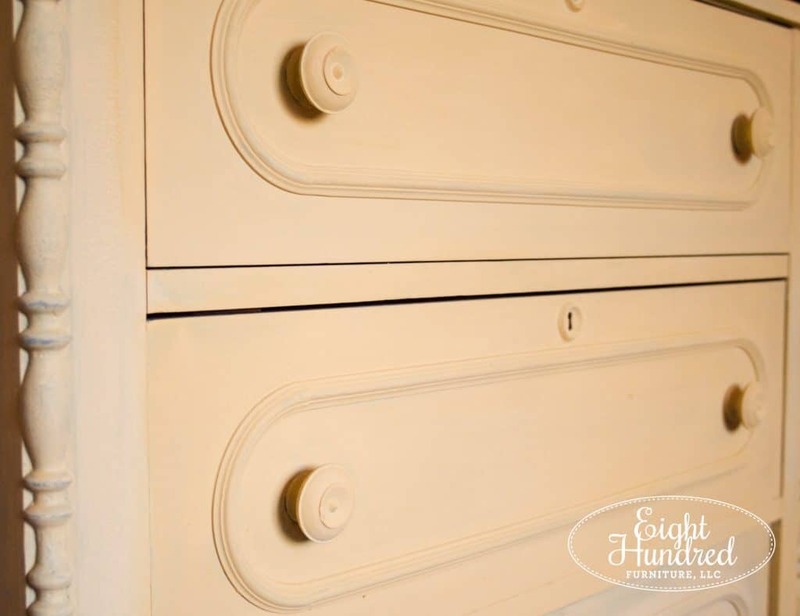 My dresser looked pretty in this photo, but that definitely wasn’t the case about half-way through the painting process. The piece started out normal on the outside – just a bit of dust and dirt here and there. The piece had beautiful gatoring. “Gatoring” is the texture that forms when old oil finishes get worn out and begin to contract and puddle in small beads over the surface. I gave my piece a light wipe down with a surface cleaner, but that was about it. Here is my first tip to avoid chipping paint. 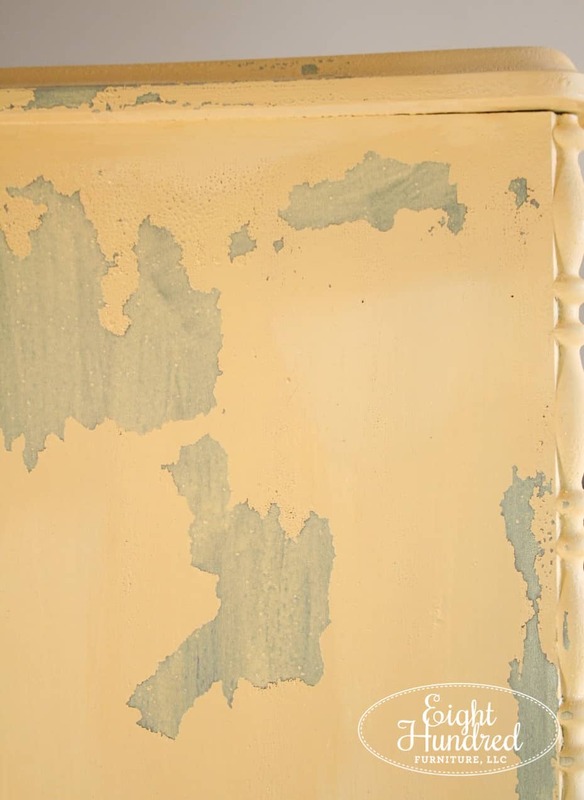 Properly clean the outside of your piece, gently scuffing with sandpaper if necessary. Looking back, I don’t think I wiped my piece down thoroughly enough. 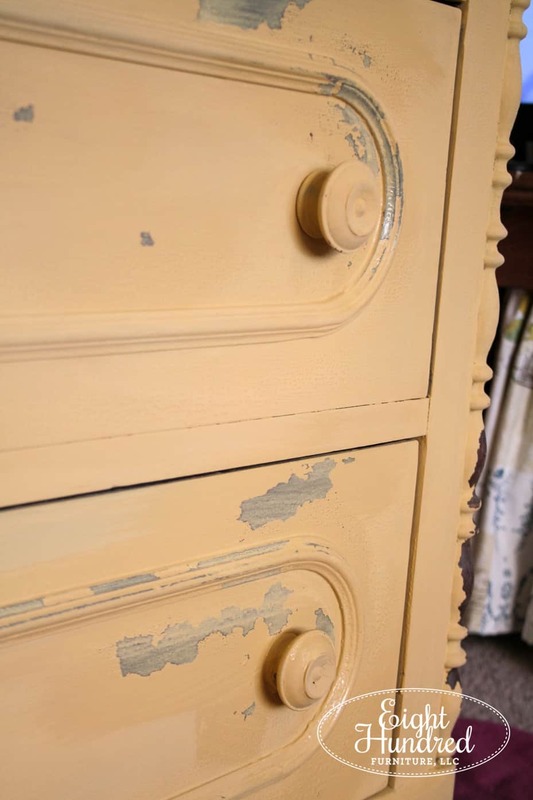 I had painted a jelly cupboard with a similar texture and age that turned out just fine. I assumed this dresser would paint the same way. 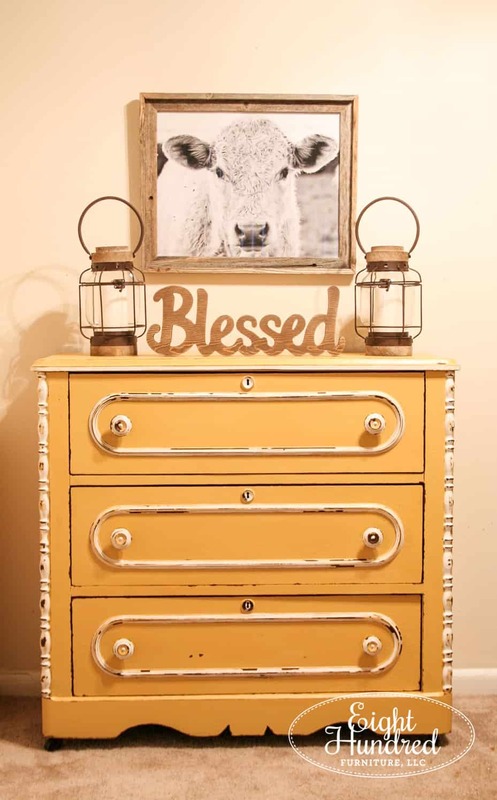 After wiping down my dresser, I mixed up a batch of Mustard Seed Yellow Milk Paint with Bonding Agent (or BA for short). 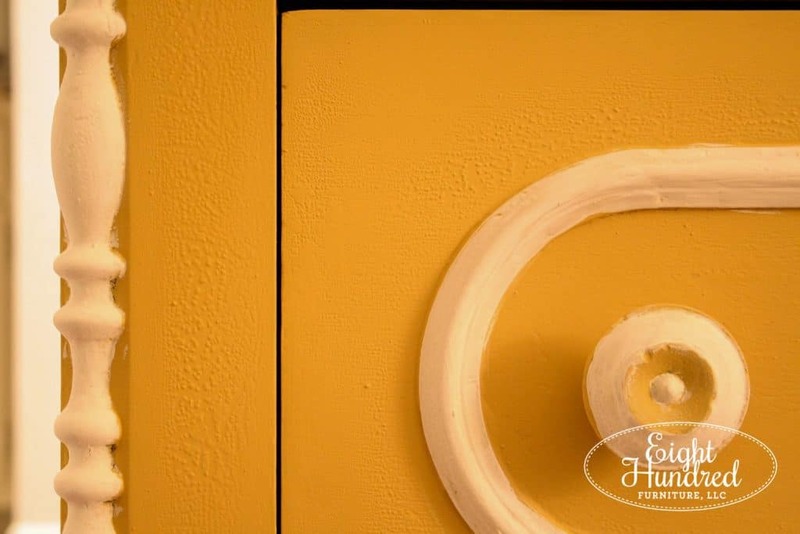 BA is a product that helps Milk Paint adhere to glossy or smooth surfaces. On the final coat, I mixed a batch of Milk Paint and I did NOT put in any Bonding Agent. In hindsight, I think that this last coat may have reactivated the first and second, causing them to loosen. My second tip is to paint every coat with Bonding Agent. If you don’t want to run the risk of chipping, mix Bonding Agent in every batch and use it on every coat. As the last coat was drying, I started to hear cracks every now and then. I walked over to my piece and ran my hand across it and saw this happening all over the surface. There were big and small patches of chipping paint, and it was only getting worse. Once my piece was completely dry, the Milk Paint looked awful. I wasn’t sure how to fix it at this point, so I took to the internet and reached out to a few Milk Paint retailers to ask for help. That’s another tip. Utilize your local retailer(s) as a source for inspiration and help. Your local retailer is an expert. They’ve been trained in all things Milk Paint-related. They have tips and tricks that will take your painting experience to the next level. Use them. Trust them. They are the Mr. Miyagi to your Daniel San. Step One – Gently sand the chipping areas so there is no more loose paint. Step Two – Paint Bonding Agent directly on the bald patches. Yes, you read that correctly. Squeeze BA into a small dish, dip your paintbrush in, and apply it directly on your problem areas. It’s just like putting zit cream on a pimple. It heals all and makes everything pretty again! Once your Bonding Agent dries, it’s time for…. 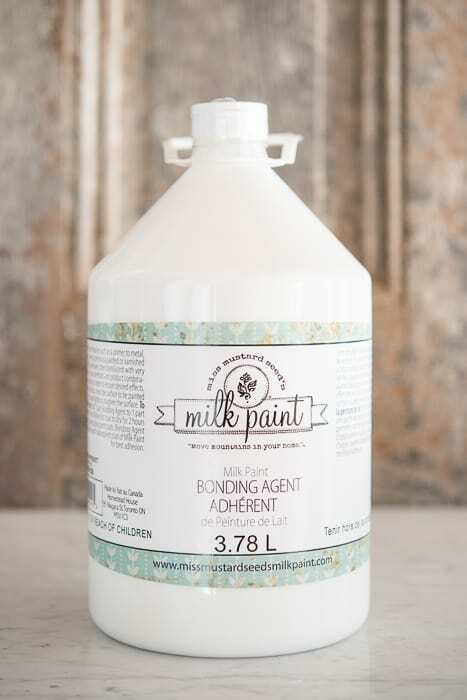 Step Three – Mix up a new batch of Milk Paint with the Bonding Agent, and apply it to cover the patches. It doesn’t look pretty at first. You may even begin to wonder if your piece will ever return from such an uneven state. Press through and trust the product! After a few coats, things will begin to look normal again, trust me. See? Things turned out OK! I wound up painting the trim work on my dresser in a pretty bright white and I distressed the edges. 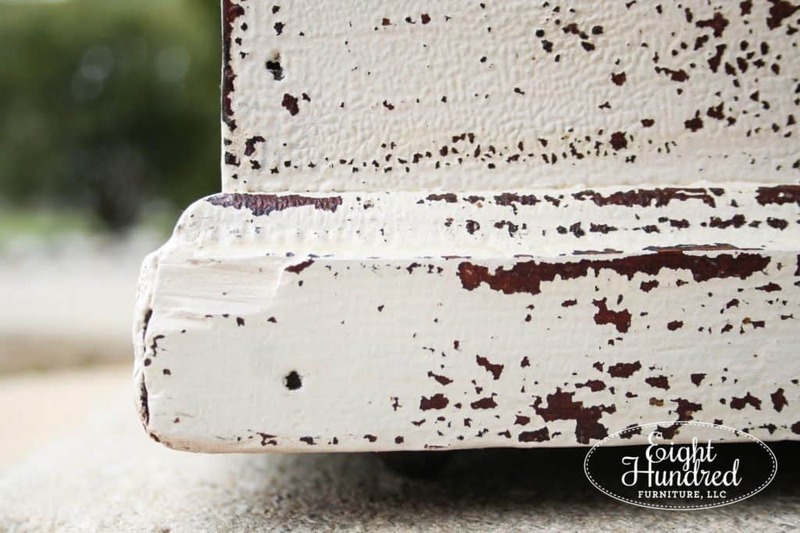 My Milk Paint still chipped here and there, but the spots weren’t nearly as big as the patches I had fixed. This kind of chipping looks sweet and gives the piece age. It’s not even close to what it looked like before! All in all, I’m actually quite happy that I went through this experience with Milk Paint. Trials bring valuable lessons, and this one was no exception. I don’t say that flippantly either. I was under a deadline for this piece and running into this kind of a roadblock was the last thing I wanted to happen. 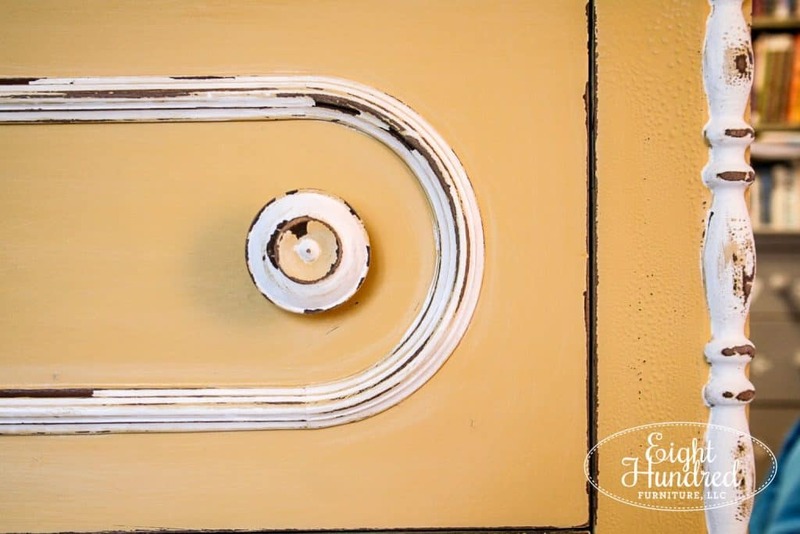 Despite the setback, it gave me the opportunity to call upon the experience of fantastic and supportive Milk Paint retailers and it gave me the chance to help and encourage you! I’m calling it a win!